Current AIA San Francisco Historic Resources Committee member. Current WCAPT Corporate Sponsor or Corporate Patron. Students are current WCAPT members. Membership is free. Join today on our website! 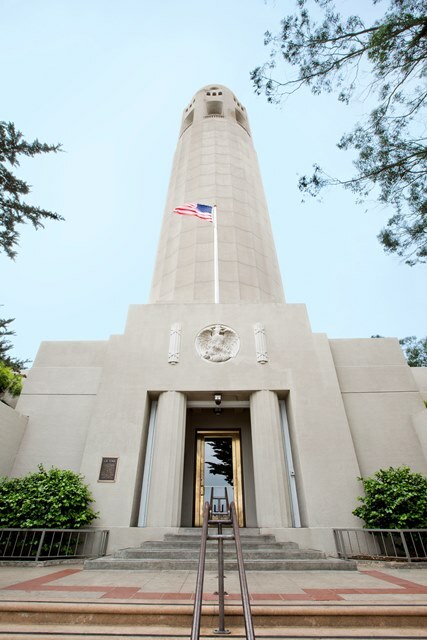 Please join WCAPT and AIA San Francisco Historic Resources Committee for a unique tour of Coit Tower, a San Francisco landmark which recently underwent a building rehabilitation including the restoration of its 1934 Public Works of Art Project murals. 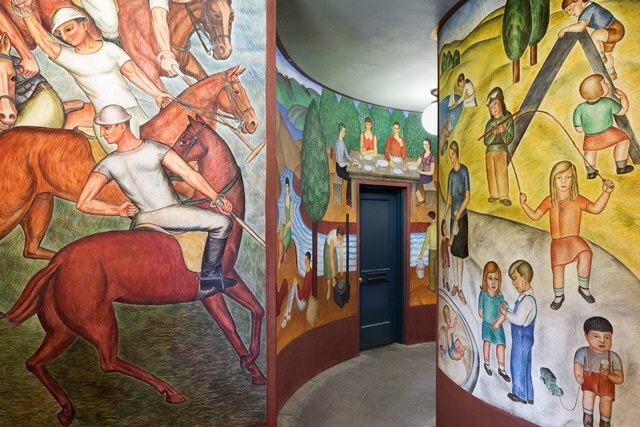 The tour will be led by Architectural Resources Group in collaboration with mural conservator Anne Rosenthal, the San Francisco Arts Commission and San Francisco Recreation & Parks Department. Learn about the exterior building repairs, fire, life-safety and ADA upgrades, gift shop renovation, and conservation of the building interior and notable frescoes. Join us for a drink at Gino and Carlo after the tour. We will walk together to this old San Francisco bar in North Beach located at 548 Green Street, SF, CA. If you get hungry, you can grab a bite next door at famous Golden Boy Pizza! Happy Hour is open to everyone! Please invite friends and anyone you know who would like to join us after the tour!! 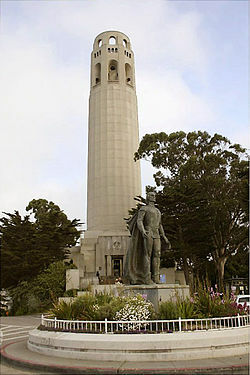 WCAPT and AIA San Francisco Historic Resources Committee toured Coit Tower, a San Francisco landmark which recently underwent a building rehabilitation including the restoration of its 1934 Public Works of Art Project murals. The tour was led by Architectural Resources Group in collaboration with mural conservator Anne Rosenthal, the San Francisco Arts Commission and San Francisco Recreation & Parks Department.